Get away from it all in your new luxury condominium at The Links at the Peninsula. This is a unique opportunity to own a upscale condominium that will give you the lifestyle you have been desiring at a very affordable price! This gated community is a beautiful, peaceful, meticulously maintained 800 acre golf and tennis community on Bon Secour Bay. Situated just a few miles west of HWY 59 off of Fort Morgan Rd. Just a 5 minute drive from the heart of Gulf Shores. 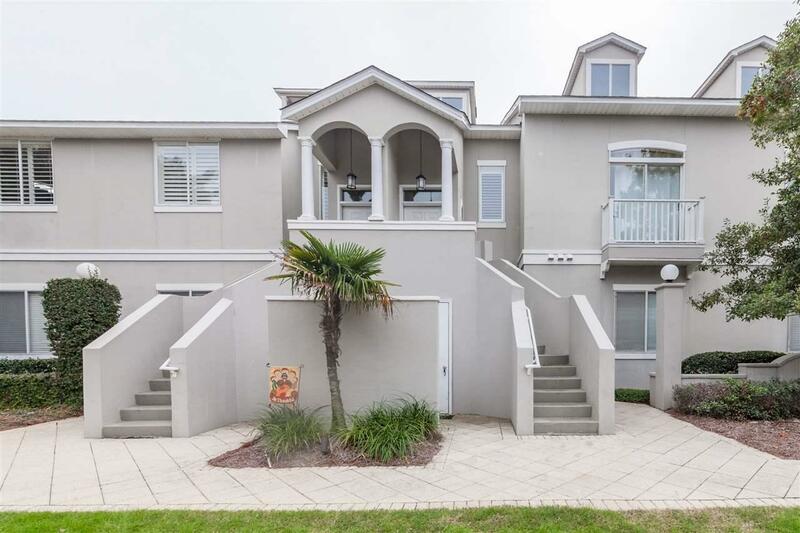 The Peninsula has so much to offer with its 27 holes of championship golf, 8 lighted tennis courts and one mile of beach on Bon Secour Bay with a 350' pier & enjoy Bike paths and nature trails throughout the Peninsula wildlife preserve. The condo home overlooks the #1 fairway on the Marsh Course with views of the lake and tennis courts from the balcony. This beautiful condo features high ceilings, crown molding, granite counter tops, custom back splash and SS appliances. Tile Throughout the main living/dining areas, kitchen, baths and balcony. Large private master suite with separate soaking tub, shower and double vanities and a large walk-in closet. The Master also has access to the balcony. Designer decorated with high end furnishings and a large upscale wall mounted TV in the living room. list of a few items that do not convey available The monthly association fees include the social membership with access to the tennis courts, fitness center, indoor and outdoor pool ,restraunt and pro shop. . A reciprocal membership to the beach club is available too! WOW. Can't find this on the beach yet you are only a few miles away.